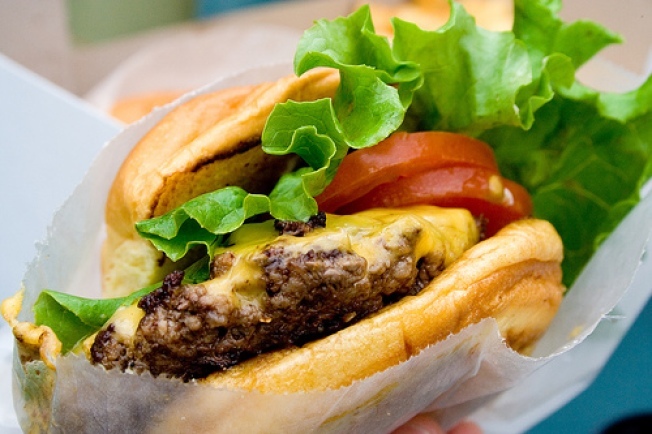 What is better than a Shack Burger on a summer afternoon in the park? How about a free Shack Burger on a summer afternoon in the park? How about getting the free burger and not even waiting on the ridiculous line? This Friday, from 3 p.m. - 6 p.m. that dream can come true. Just be in Madison Square Park at that time and happen by Shake Shack. But what's the catch? There is always a catch, savvy New Yorkers know. They've been through it all -- from free Pepsi riots in Times Square to free fried chicken riots. The catch in this one is a small price to pay actually. The gratis burgers come for something you probably do every day at work while you are supposed to be finalizing a spreadsheet and checking action items off a list, or doing whatever it is you pretend to do at your desk while you are really just playing some inane advergame online, or declaring a Mob War on someone on Facebook. Your burger benefactor, Arkadium, will wait on the line for you while you play some of their silly games on one of the laptops they've set up. You have to admire a focus group that tests how greasy you can get their keyboards. Chances are, they'll ask you soe questions about the games, too, but at least you'll be talking with your mouthful.